Fortunately, The Normandy Cob has never been of much commercial interest from a meat point of view when compared to the other heavy traditional breeds of France. For this reason, the breed’s bloodlines have not been altered dramatically, and so they are a rare commodity; an original heritage breed. 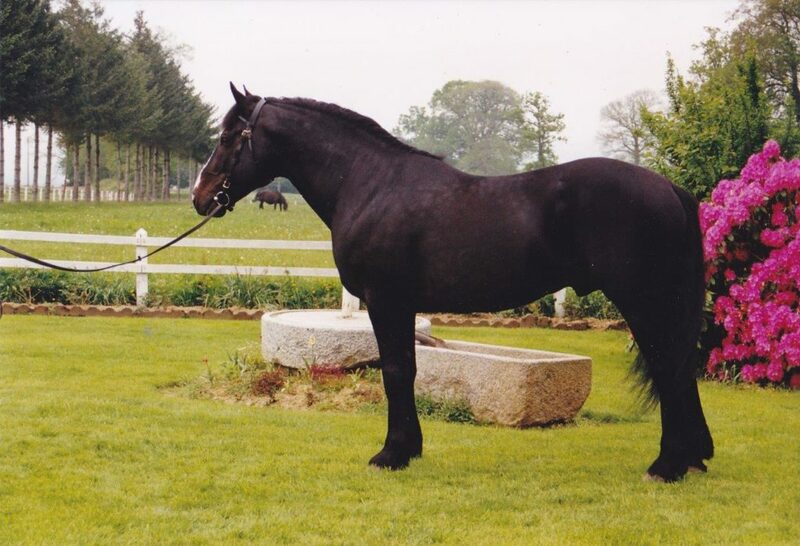 There was a period during the 80’s and 90’s where they started to gain popularity ( mostly due to the Jouvins successful breeding and competition record) and so as demand increased the usual story unfolded; unscrupulous breeders rushed to fill demand and the market become flooded with poor quality. The result was prices dropped, horses suffered and the ‘have a go’ breeders disappeared. 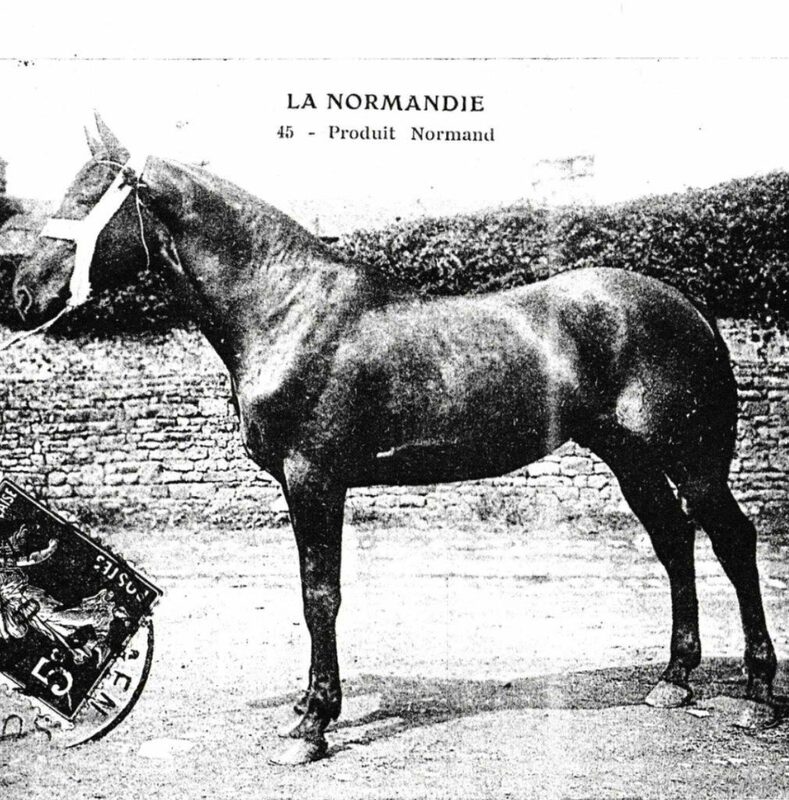 When I discovered the Normandy Cob, I was astounded that this most incredibly versatile horse was not known universally, whilst the Jouvin’s have exported their horses globally, the breed is still practically unknown outside of France. 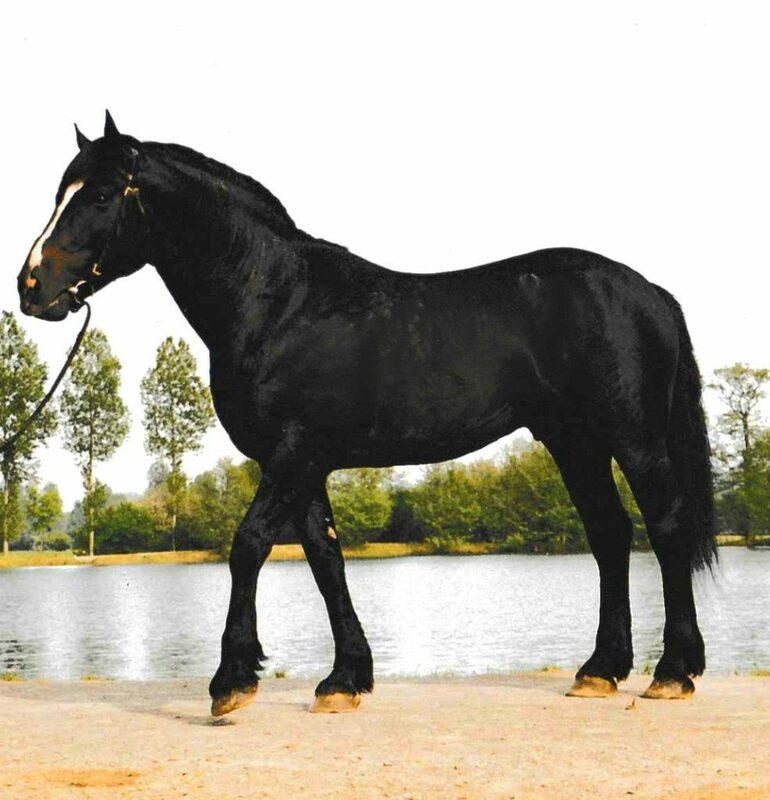 The Normandy Cob is known as the lightest of the heavy weights, they are capable of great stamina; one Normandy can pull twice their weight , they can travel 40kms comfortably in one day, where the rest will be flagging at 20kms, they make magnificent hunters, have a naturally extended gait in trot, inherent to the breed, and are capable of dressage. This is to say nothing that they make great eundurance horses. In fact, the only thing that does not come readily to them is jumping, but even then, the lighter variant of the breed can comfortably achieve 1m plus. 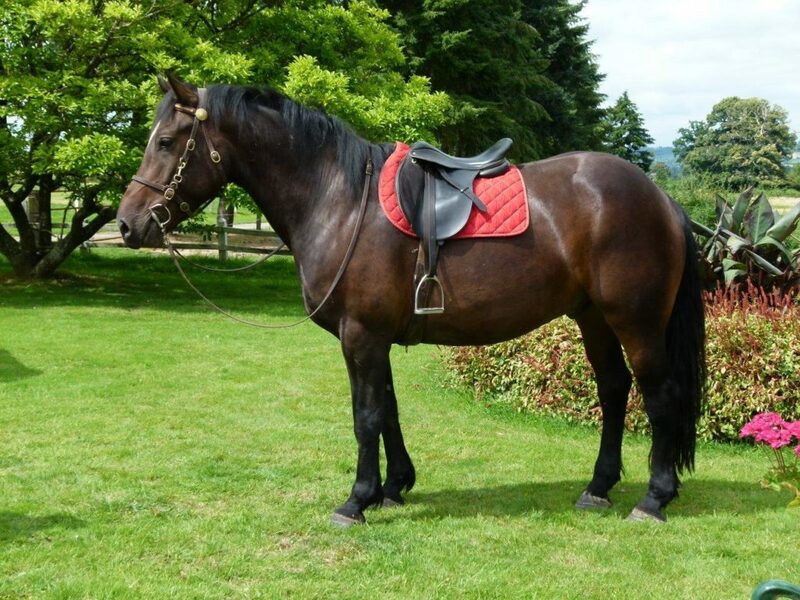 So we live in a world where much value is placed on some horses over others, breeds that are sadly almost unrecognisable from their original purpose, and yet here is an unknown breed that is capable to do the equal and often more than the others, at a perceived lower value as it has the word ‘Cob’ attached to its name. This horse in this image was an everyday horse in day to day work, however, I would like you to compare the horses frame with a stallion on our farm below. 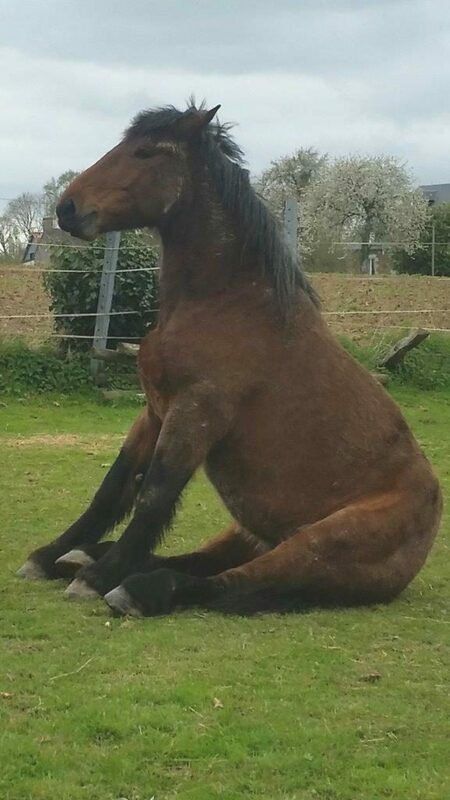 He was put to lighter Normandy Cob mares and so the Carrosier, I am very proud to say is once in more existence and at exclusively available at Elevage Jouvin. An elite, elegant athlete, that we would describe as a ‘riders’ horse. 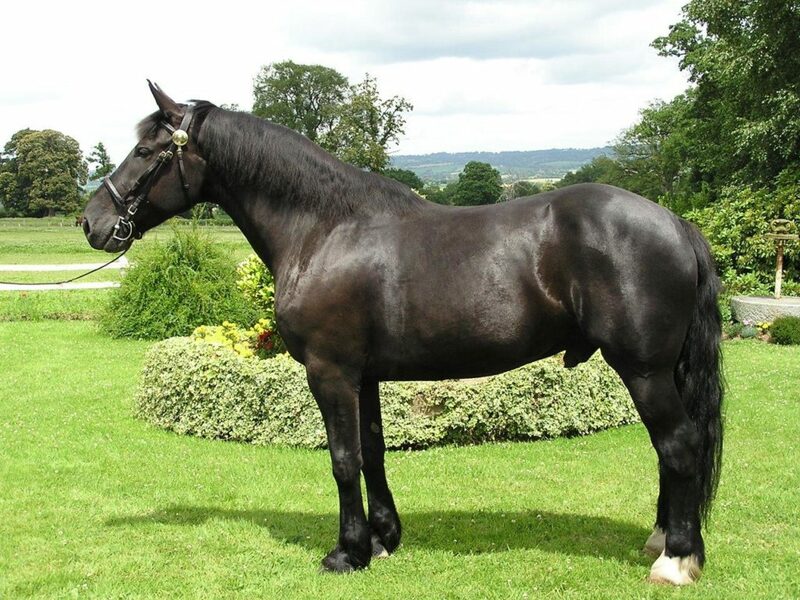 Although the Normandy Cob is generally considered a draft breed, during the reigns of Henry the VIII 1509-1547 and Louis XIV 1643-1715 they were crossed with Arabian and Norfolk Trotter bloodlines. This produced sports horses of great agility and endurance. Through an experienced breeders eye, and ancient archives, Georges has over many years selected purebred stallions and mares that he considered would recreate the Carrosier, common sense and genuine knowledge predates modern technology such as DNA. 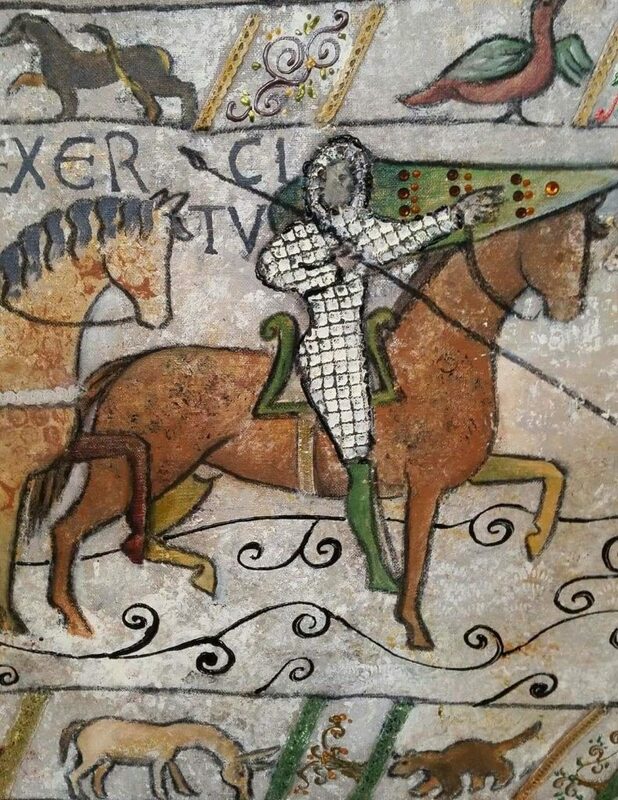 As a final reference, the Bayeux Tapestry (1066) where the original Destrier (medieval war horse) from Normandie is available for all to see! However, for the rest of us mere mortals, there is the generally more known Normandy Cob, whilst they have the same over all conformation, there are three clear variants; The light weight ( Carrosier) The middle weight, and the heavier weight. I have included 3 images for reference point, followed by the universally accepted breed standard as set by Georges Jouvin. The Head; The head should be well proportioned similar to that of a Selle Francais. Wide nostrils, small ears, and a straight or convex facial profile. The Neck; Thick, muscular and arched. The Shoulders; Broad and angled. The Frame; The chest must be deep, with the withers pronounced. The body is compact with a short, strong back. The croup is muscular with sloping hindquarters similar in appearance to a thoroughbred. The legs; Muscular, strong with solid bone, but far finer in appearance to that of a draft horse. The Feet; Wide, round with strong and often capable of going unshod. Weight; Between 550kgs and 900kgs. 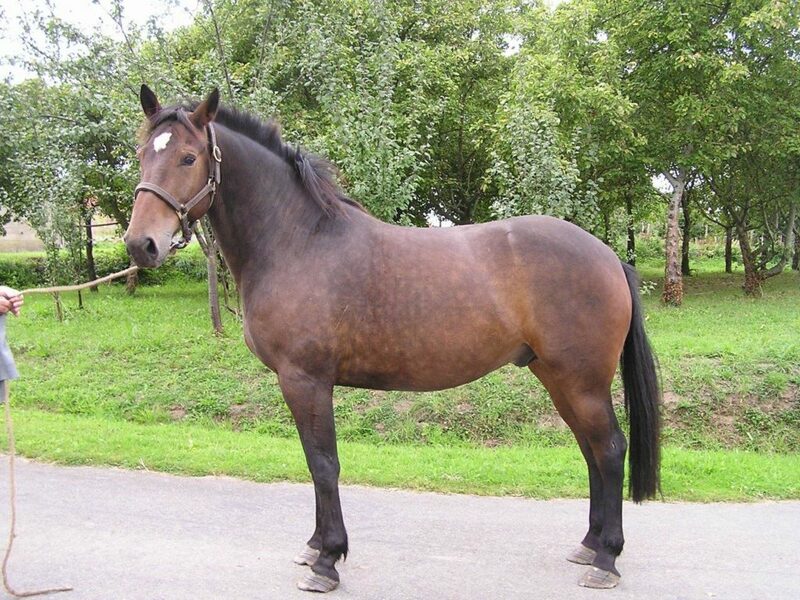 The variations between height and weight are explained by the variety of uses, however, all Normandy Cobs should appear elegant, and closer in type to a Thoroughbred cross. Overall conformation is similar to that of a robust Thoroughbred. They have a naturally extended trot, with long strides. The strong forehand is ideal for driving, whilst the agile almost racing quality hindquarters provides great acceleration. The perfect combination of power, endurance, elegance, coupled with calm, willing and sensible personalities.